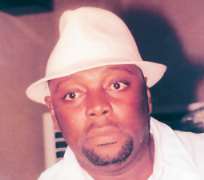 Segun Arinze is one of the well-known actors in the country who has made a lot of people happy with his acting skills. But today, Arinze is not a happy man because an unidentified person is impersonating him. Arinze told Life and Beat, last week, that somebody hacked his yahoo mail address and has assumed his identity. The fraudster is extorting money from people with his (Segun's) name. According to him, he stopped using the email address; [email protected] some months ago, when he found out he could not access his mail. Arinze said he got a new mail address and recently, he 'saw' the 'impostor' online and he started chatting with him.